We regularly feature a blog by a different Mayor on how their council is making a positive difference for their community. The Greater Shepparton community comes from many backgrounds, starting with the oldest continuing culture in the world – Aboriginal and Torres Strait Islander Peoples. For decades, Greater Shepparton has been the home for thousands of migrants, refugees and asylum seekers. Greater Shepparton City Council is proud of our immigration history and the resulting diverse community we enjoy. Our community has more than 3,500 Muslims who live, work and help Greater Shepparton grow every day, and they have done that for decades. We are proud to know that here in our very own backyard we have the oldest purpose-built mosque in Victoria (opened in 1960) and one of the oldest continually-used mosques in Australia. We have been lucky to be able to run ‘Speed Date a Muslim’ here in Greater Shepparton, a program that has proven to be highly successful in fostering greater community understanding of Islam, while also inspiring other municipalities to run similar programs. ‘Speed Date a Muslim’ is not a regular speed dating session but an opportunity in a safe environment to ask Muslim women about their faith and culture. Originally the program was launched in 2016 by Hana Assafiri in Brunswick as a fortnightly event in her café, Moroccan Deli-cacy. The concept of speed dating quickly proved to be a success, with Hana once having 800 attendees in her café that usually accommodates only 50 people. 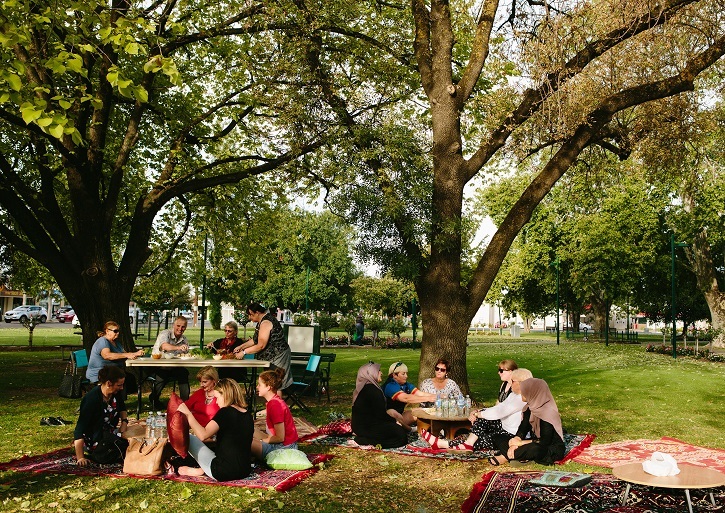 In 2017, local organisations supported by Greater Shepparton City Council decided to bring ‘Speed Date a Muslim’ to Greater Shepparton, which enabled visitors to sit with Muslim women and ask questions about Islam. The first ‘Speed Dating’ session was attended by 50 people and every other session since then has booked out very quickly. 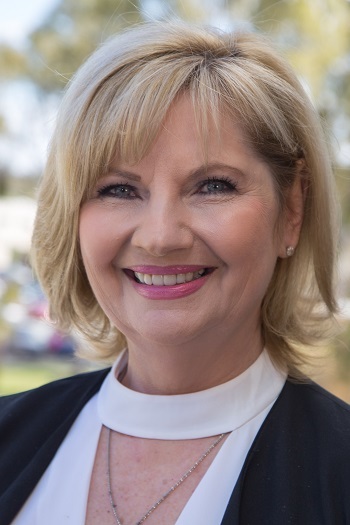 Greater Shepparton City Council is committed to continuing to work for a vibrant, cohesive community that celebrates and incorporates aspects of cultural diversity within daily life. It values the partnerships we have made with service providers and organisations, as well as the relationships with communities and community leaders. The Speed Date a Muslim event also opens up so many discussions and conversations – including the opportunity to share experiences, culture awareness diversity and also the opportunity to offer friendship and understanding. This dialogue builds on community connection and initiates exchange that allows sharing of positive aspirations for the community, helping to achieve greater understanding and shared respect for culture diversity. Many friendships have been forged at this event and it is wonderful that we have such a broad variety of community women attending from all walks of life. The event is conducted in a relax, friendly setting in our beautiful Queens Gardens. Greater Shepparton's Speed Date a Muslim program has been successful in fostering greater community understanding of Islam.